The Kozmetsky Center aims to enrich the intellectual life of St. Edward's University, and to serve as a resource for informing the broader public on critical global issues. The center seeks to deepen understanding of the complex challenges of an increasingly integrated world. We facilitate interdisciplinary exchanges among experts, students, faculty, and the broader public in a variety of forums. Past speakers have included American and foreign diplomats, policy makers, university scholars, and leaders of the business, non-profit, and cultural communities. We also periodically host short-term resident visiting scholars and practitioners from the United States and around the world to share their expertise and diverse perspectives with the St. Edward’s University community. Our programs and activities are directed toward advancing sustained productive international partnerships throughout the world and among the dynamic local Austin community. 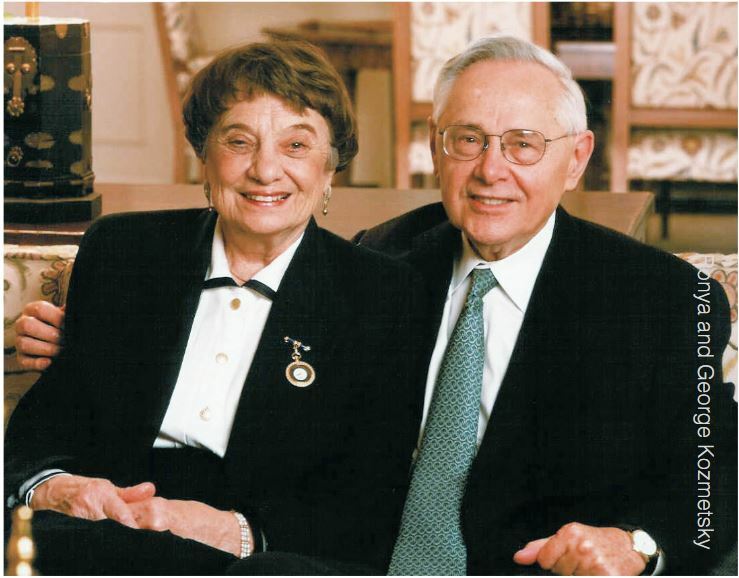 The Kozmetsky Center contributes to advancing the mission of St. Edward’s University to educate students and prepare graduates with the tools needed to contribute to a more just world. The Kozmetsky Center supports the university's Global Initiative providing students with international opportunities and experiences on multiple levels, and equipping students for working effectively in an interdependent and culturally dynamic world community. Exploring the application of theory/academic expertise to supporting real-world issue problem solving and cooperative efforts in policy, community service, etc. Dr. Sharyl Cross was appointed Director of the Kozmetsky Center and Distinguished Professor at St. Edward’s University in 2013 and is a Global Policy Fellow at the Kennan Institute for Advanced Russian Studies, Woodrow Wilson International Center for Scholars. From 2005-2013, Dr. Cross was Professor in the College of International & Security Studies at the George C. Marshall European Center for Security Studies in Garmisch-Partenkirchen Germany serving as Director of Academics for both the Program in Advanced Security Studies and Senior Executive Seminar and in key leadership capacities for strategic outreach engagement initiatives in Russia, Eurasia and South East Europe. Prior to the Marshall Center, Dr. Cross was at the United States Air Force Academy where she had been appointed Distinguished Professor of Political Science. She is a tenured full Professor and former Chair of the Department of Political Science at San Jose State University in the California State University system. Professor Cross earned a Ph.D. in Political Science from the University of California, Los Angeles in 1990 with concentrations in international relations, comparative politics, and American foreign and security policy. While in the UCLA graduate program, she was also a resident fellowship scholar and consultant at the RAND Corporation completing the UCLA and RAND programs in Russian area and policy studies. Originally from Arizona, Dr. Cross graduated Phi Beta Kappa with Honors in Political Science from the University of Arizona in 1983. In 2004, Dr. Cross taught in Lille France as Visiting Professor of Transatlantic Relations at the Institute of Political Studies/Sciences Po. She has been the recipient of three (2001, 2004, 2006-2007) post-doctoral research grants at the Kennan Institute. In 1999, Dr. Cross was awarded a Fulbright Senior Scholar grant to support affiliations as Visiting Research Scholar and Professor of International Relations at the Institute of USA and Canada Studies in the Russian Academy of Sciences and Moscow State Institute of International Relations of the Ministry of Foreign Affairs of the Russian Federation (MGIMO). 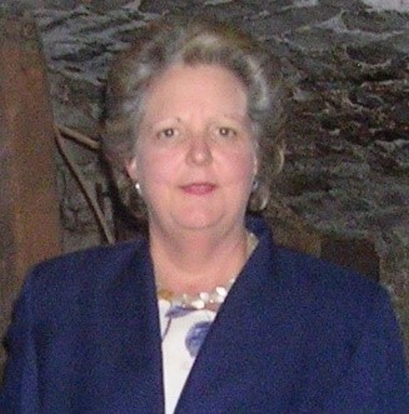 She was a Visiting Assistant/Associate Professor of Transregional Security Studies at the United States Air War College at Maxwell AFB from 1994-1996, and was a recipient of a post-doctoral fellowship at the Hoover Institution at Stanford University to support continuation of her dissertation research. 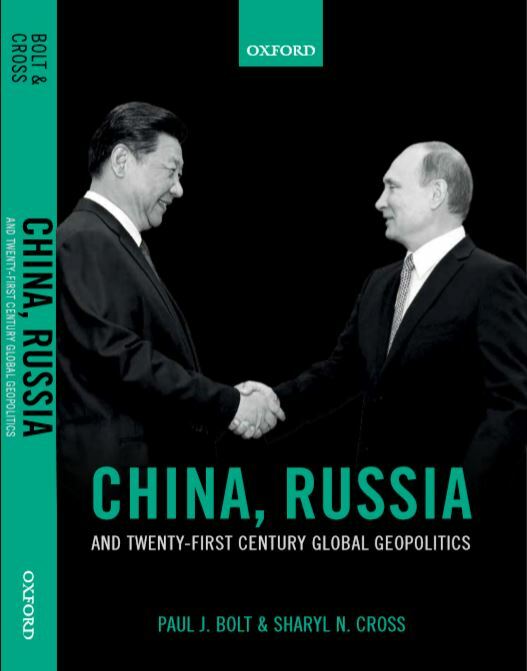 Her most recent book China, Russia, and Twenty First Century Global Geopolitics co-authored with Paul J. Bolt was published by Oxford University Press in 2018. Professor Cross’ edited books include Shaping South East Europe’s Security Community: Trust, Partnership, and Integration, Macmillan, New Security Challenges Series, 2013, The United States, Russia, and China: Confronting Global Terrorism and Security Challenges in the Twenty First Century, Praeger Security International Series, 2008, Global Security Beyond the Millennium: American and Russian Perspectives, Macmillan Press, 1999, and The New Chapter in United States-Russian Relations: Opportunities and Challenges, Praeger, 1994. She has published extensively in leading professional peer reviewed journals and has received awards in support of her research from NATO-EAPC, U.S. Air Force Institute for National Security Studies (INSS), Office of the Secretary of Defense, California State University, American Association for University Women, International Research and Exchanges Board, and University of California, Institute for Global Conflict and Cooperation. While residing in Germany, Dr. Cross directed a major multi-country and multi-disciplinary project for the Marshall Center devoted to exploring dimensions of countering violent extremist ideology involving participation of more than 60 nations. She also routinely lectured on international security topics at NATO School in Oberammergau Germany. She has briefed and consulted for the Office of the Secretary of Defense, United States European Command, U.S. State Department, and U.S. Congress. In 2013, she received the U.S. Army Commander’s Award and Defense Security Cooperation Agency’s (DSCA) Director’s Award issued with approval of the U.S. Senate Foreign Relations Committee recognizing contributions to building international security cooperation during eight years in residence in Germany at the Marshall Center. Dr. Cross is on the editorial boards for the peer reviewed Journal of Strategic Security and the Journal of Southeastern Europe. She also currently serves on the executive boards for both the “Geopolitics” and “Religion and Politics” Research Committees of the International Political Science Association, and on the Board of Directors of the Atlantic Council in Montenegro. She is a frequent speaker for major professional foreign policy forums in Europe and Eurasia, and has lectured throughout the United States for the Council on Foreign Relations, World Affairs Council and other leading academic and policy centers. 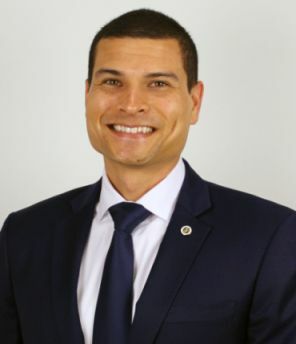 Joseph Sadek joined the Kozmetsky Center of Excellence in 2018. As Executive Assistant to the Director, Joseph supports the Center's administrative, logistical, and outreach priorities. He comes to St. Edward's after nearly a year as a Research Assistant at the NATO Parliamentary Assembly in Brussels, Belgium. During his tenure in Brussels, Joseph contributed to a broad research agenda from NATO operations in Afghanistan to disinformation on new social media platforms. In 2015, he participated in a research study on a cash-for-food aid program in southern Turkey with the Danish Refugee Council. 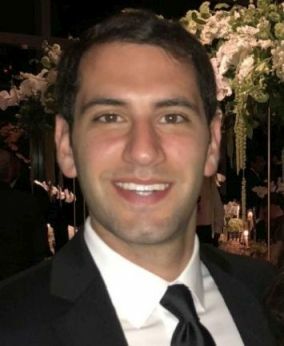 Between 2012 and 2014 Joseph was the Program Coordinator for The Ohio State University's John Glenn College and was based in Washington, D.C.
Joseph is a native Ohioan and a graduate of The Ohio State University. He also earned his Master of Arts in Law and Diplomacy from the Fletcher School of Law and Diplomacy at Tufts University. His areas of interest include comparative politics, the Middle East, and forced migration. Joseph is fluent in Arabic and has a strong comprehension of French. His MA thesis at the Fletcher School of Law and Diplomacy focused on Turkey's refugee policy response to the war in Syria. Alesondra Cruz is majoring in Political Science at St. Edward’s University with interests in international relations, international institutions and political economy. In Fall 2017, Alesondra studied at American University in Rome completing coursework in international relations, international human rights, and migration. 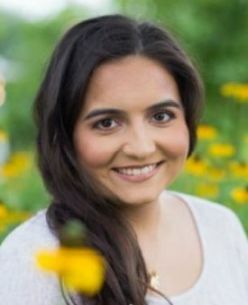 She has served as a Legislative Intern in the Texas House of Representatives on the staff of Representative Matt Rinaldi. While maintaining an outstanding academic record as a President’s Merit Scholar, Honor’s Program participant, Alpha Chi and Alpha Lambda Delta Honor Society member, CATO Institute Bastiat Scholar, Alesondra has also been quite active in supporting community efforts including participating in refugee work at III Soggiorno in Rome, working as a refugee tutor for the SERVE Austin program, participating in The Annette Strauss Institute for Civic Life and New Politics Forum as a Texas Civic Ambassador and much more. She has been a St. Edward’s University Orchestra Flautist. A native of Richmond Texas, Alesondra plans to attend law school after completing her undergraduate degree in Spring 2019. Alesondra is contributing to the Kozmetsky Center in the areas of campus and community event promotion and liaison with campus departments and student organizations. Ryan Lamson is majoring in Global Studies at St. Edward’s University concentrating in the areas of in international conflict, cooperation and security with a regional focus on Latin America (Spanish). Ryan enlisted in the United States Marine Corps in 2007 and served in various leadership and security assignments at the US Embassies in Kabul, Brussels and US Consulate in Karachi. Among several assignments from 2007-2015 in the USMC, Ryan was an infantry squad leader and US Embassy security guard which included providing security support for the POTUS and Secretary of State. In addition, he held a leadership post in Family Readiness assisting service members and their families deployed overseas in establishing associations with local communities. Ryan holds the Navy and Marine Corps Achievement Medal, Iraq Campaign Medal and Department of State Meritorious Honor Award. He has also contributed to the community by participating in St. Edward’s Students for Sustainability, Second Harvest Food Bank in Orange County and supporting educational, cultural and sports activities for students of the Karachi American School in Pakistan. An honor’s student at St. Edward’s University, Ryan is interested in pursuing graduate study and a professional career in the international security area. Ryan is supporting the Kozmetsky Center primarily in event site management, protocol, and campus program coordination.